To be well suited as a Field Guide and a Tracker you need to have different parameters on danger. A scream of terror causes a flood of adrenaline in a Field Guide and the overwhelming urge to run to the source clasping a camera in one hand and a snake wrangling kit in the other to see what excitement has been uncovered. Something in the development of our survival instincts went astray. We are drawn to creatures that most humans consider deadly and downright disadvantageous for a long and healthy lifespan. So, with this in mind, it is perhaps unsurprising that one morning Bongi and I were chasing around on some fresh cheetah tracks, eyes gleaming at the challenge. 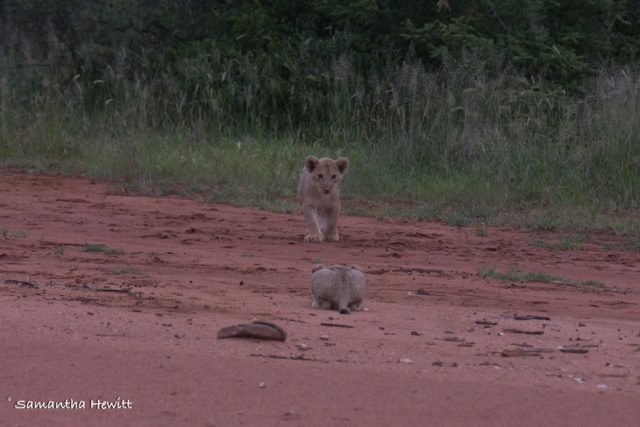 Bongi was doing some systematic tracking, out on foot following one track and then the next to find the animals. Whilst I was doing some intuitive tracking, circling the block in the vehicle, checking to see if the tracks emerged and trying to predict what their movements would have been or would be likely to be so we could slip ahead of the coalition of cheetahs and spot them that morning. We covered a few uneventful sides of the block when, BINGO, cat tracks on the road ahead. I stopped the car, gave the guests a few reassuring words and leapt out for a closer look. Not the cheetahs we were following but an even more elusive creature – a female leopard – had been down the road and recently judging by the crispness of the tracks. I followed them for a few metres head down to get a feel of the gait and behaviour of the animal when I felt an ominous prickling on the back of my neck. I froze. Call me superstitious but I was convinced something was watching me. I raised my head to scan around. Leopards love to rely on their excellent camouflage and from the freshness of the tracks it was entirely possible the female was lying somewhere close-by in the bushes watching my every move. I scanned carefully in the bushes on my left, slowly coming round to the road where my eyes met a pair of black pools, lined with silver and typically associated with a swift, anxious and painful death. A few metres ahead of me, starting to cross the road, was a black mamba, about 3m in length and raised up about 50cm from the ground. The mamba had spread its hood (oh yes they have a hood) and was daring me to come closer. I stood for what felt like an age staring transfixed at the snake before common sense kicked in – I should return to the car and get my camera – what a photo opportunity! I called to the guests to make sure they were enjoying this rare and special sight in the bush and slowly backed towards the vehicle. My movement broke the spell and the extra space relaxed the snake, it turned and slid back towards the bushes. With great excitement we approached it in the game viewer and the serpent climbed a nearby knobthorn gave us all a piercing stare before moving off on its own business once more. Along with the photo competition that guests from both Garonga Safari Camp and Little Garonga can submit their safari moments to, we have also started an annual Wildlife Photo Competition for our guide and tracker teams. The teams: Jaffet and Richard; Josia and Phineas; Samantha and Stewart; Derrick and Kaizer; and Sophie and Bongi, get to explore the bush daily on a game drive or on foot, regularly experiencing fantastic sightings, which make for great photographic opportunities. While a little healthy competition never harmed anyone, this is just a fun platform for our guides to showcase their wildlife photography skills in the field. Wildlife photographer, Paul Changuion, judged the submissions sent in by our guides last year. Without further ado, here are the winners of last year’s Wildlife Photo Competition. 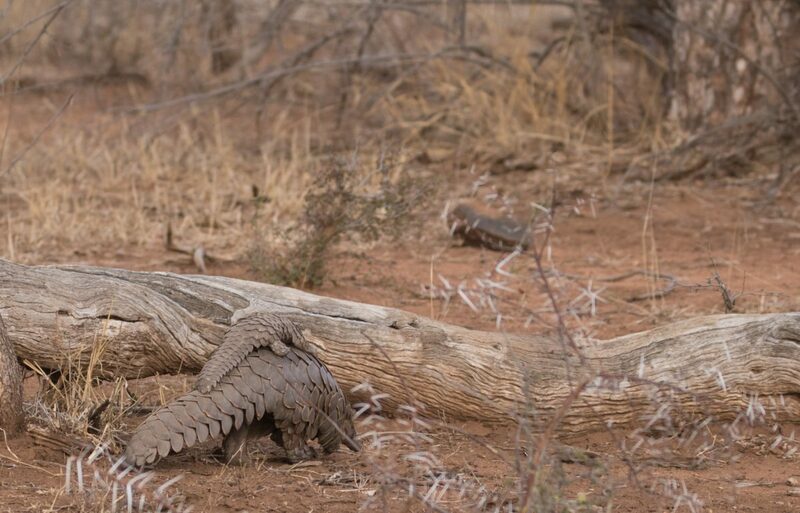 During an afternoon game drive in late October, Bongi called out “What’s that?”, which was met by a chuckle from Sophie. She pulled out her binoculars and starting scanning the area where he was looking because she knew that if Bongi couldn’t identify whatever it was without binoculars, then she certainly wasn’t going to be able to. 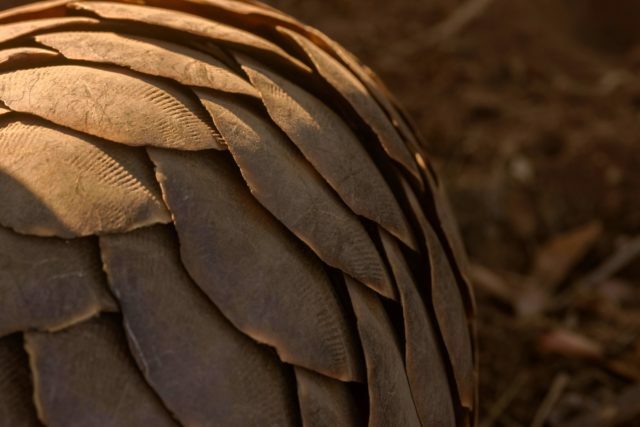 On the tracker seat ahead, Bongi began to squint and muttered ‘pangolin’. At that point, Sophie was doing a passable impression of a spinning top – binos firmly glued to her face, calling out “Where are we looking?!”. And then she finally saw it, or more accurately them. 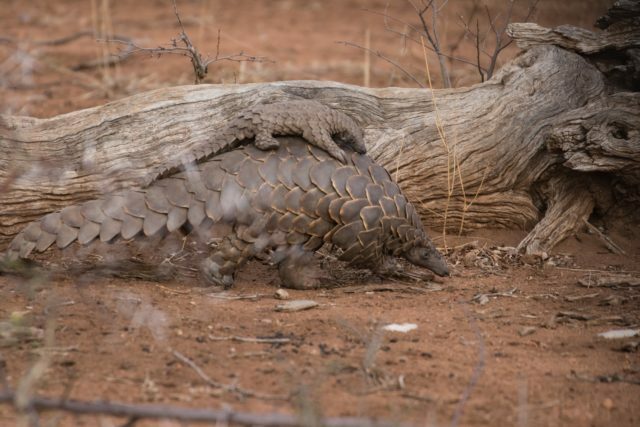 Their very first pangolin sighting was also their second pangolin sighting as there was a female carrying her youngster on her back. 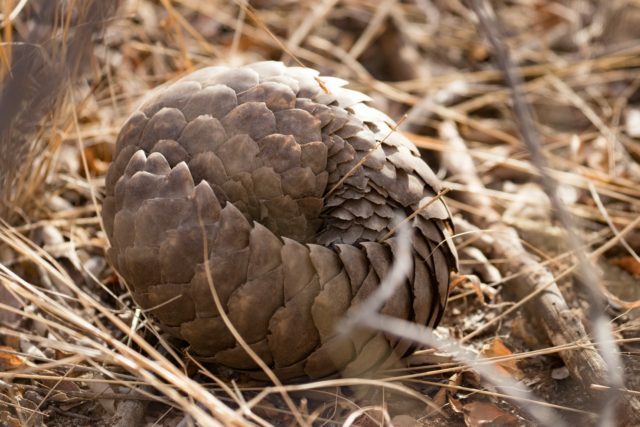 Many guides never get the chance to see a pangolin – let alone two- during their entire career so they most certainly count themselves lucky! 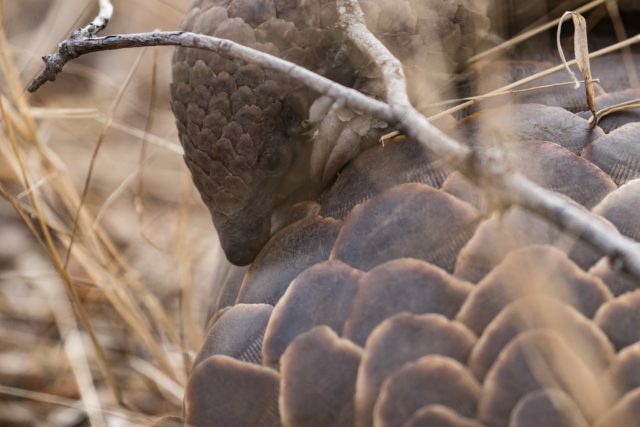 To read the full story, visit the first blog of our Safari Camp Stories series titled A Double Pangolin Sighting. 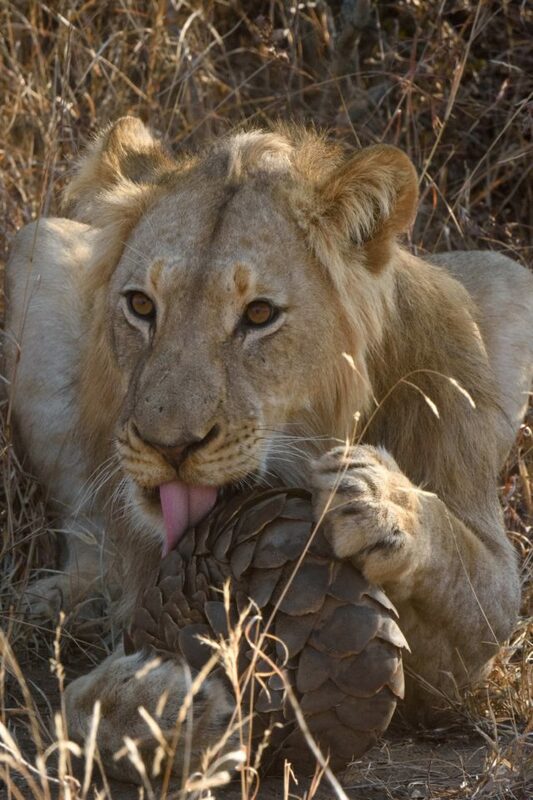 It was an afternoon in mid-November that was ripe with possibilities, Sophie had a vehicle filled with new guests and Kaizer and Sophie were keen to finish tracking down the Garonga pride. 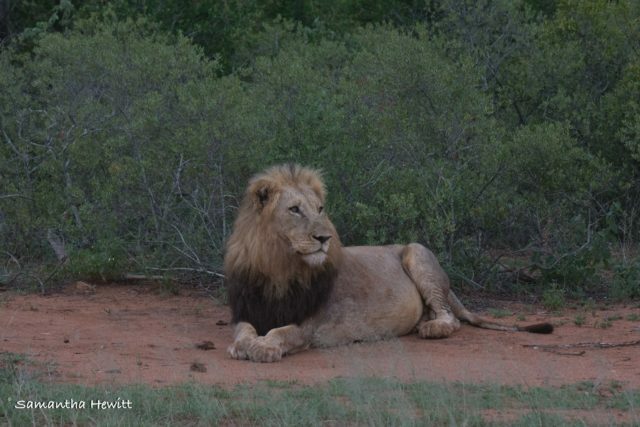 Kaizer was taking the sleep-out guests and headed straight to where they had left the tracks in the morning. 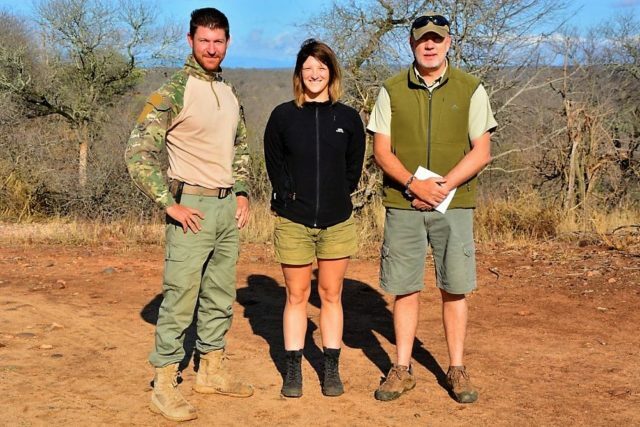 Sophie got waylaid by a gang of boisterous elephant bulls and saw King Raf (the oldest elephant bull in the reserve) get outsmarted by a sassy young bull. Whilst they were with the elephants, Kaizer called over the radio to say that he had found the lion pride and that the cubs were with them. 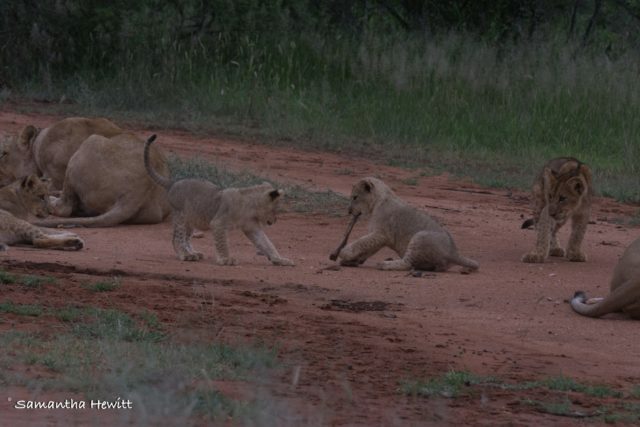 At this point the pride had four cubs, two who were about 6 and half months old and two who were coming up to 2 months old. 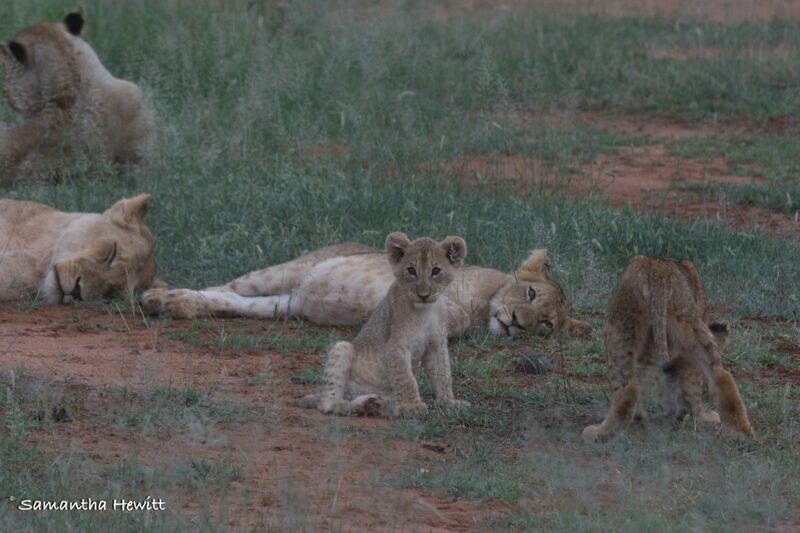 When Sophie pulled into the sighting she blinked, rubbed her eyes and gasped – there were not four but SIX cubs! 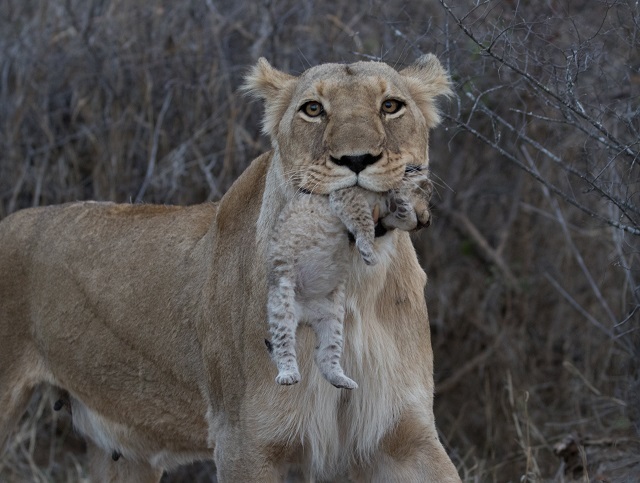 The oldest female in the pride had given birth since anyone had last seen her and the tiny bundles she was suckling looked to be about two days old! 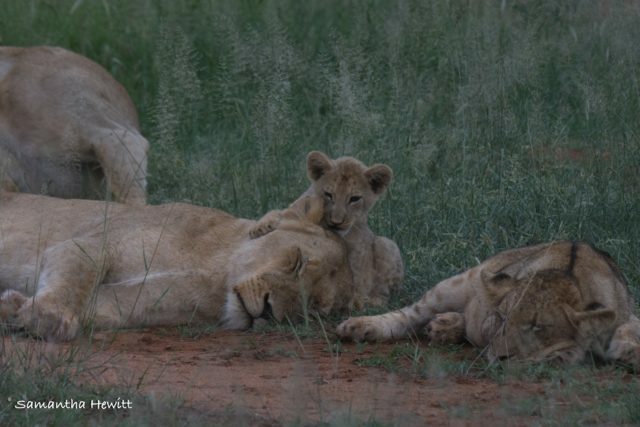 It was late evening and they sat in silent awe watching as this experienced female nursed and then washed her cubs. Once she was finished she glanced up at them, stood, stretched and, with incredible gentleness, picked up one of the cubs in her mouth. She levelled an assessing stare at Sophie and started walking towards her, and for one bonkers moment, she thought the lioness was bringing her cub to Sophie for a lion king style introduction to the reserve, at the last moment the lioness changed direction and stalked silently into the setting sun. 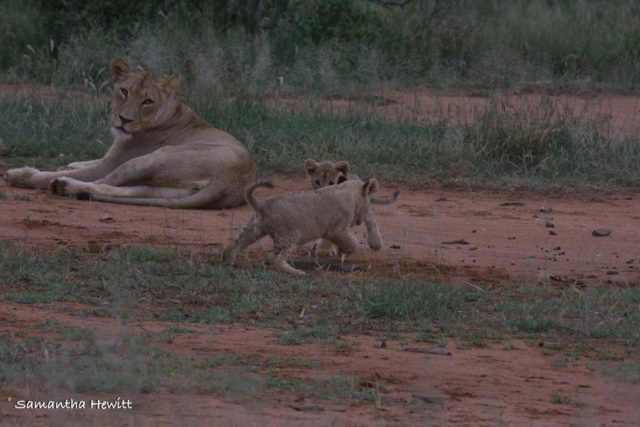 The Garonga pride had some recent additions to the pride, which were now old enough for the pride to move the den site. That afternoon Derrick and Kaizer were determined to find where the pride had moved to. 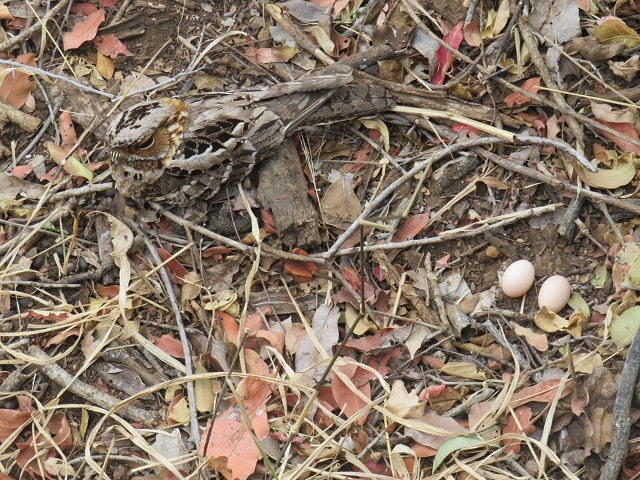 They set out and were successful in finding them but the lions weren’t all that they found… As Derrick was positioning the vehicle to glimpse the lion cubs nestled inside the den he spotted two eggs on the ground. Curious, he pulled closer to work out what bird they belonged to and as he examined the area Derrick realised the answer was right in front of him, blending perfectly with the leaf litter and not so much as batting an eyelid at the gigantic tyre that was passing next to her nest was a fiery necked nightjar. It was impossible not to record such flawless camouflage. 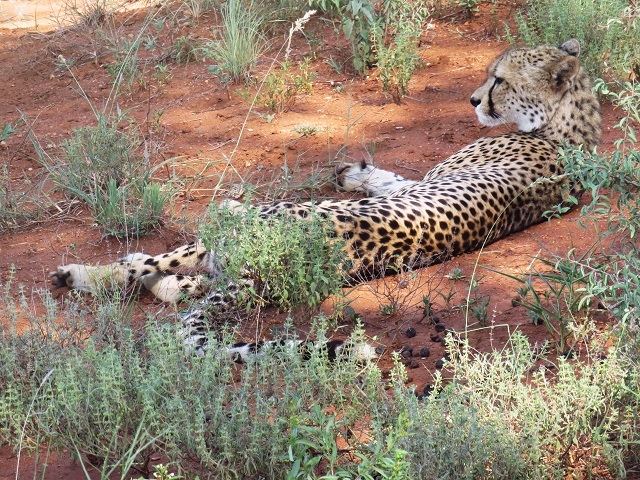 Leopards are the most elusive cat, feeling more at home when the shadows have lengthened. During the daylight hours they are shy and skittish, they often take comfort in the darkness becoming bolder and tolerating an observer’s presence. Sophie and Bongi had found this particular leopard on the morning drive when they were tracking a coalition of male cheetahs that had moved into the Garonga section of the reserve. 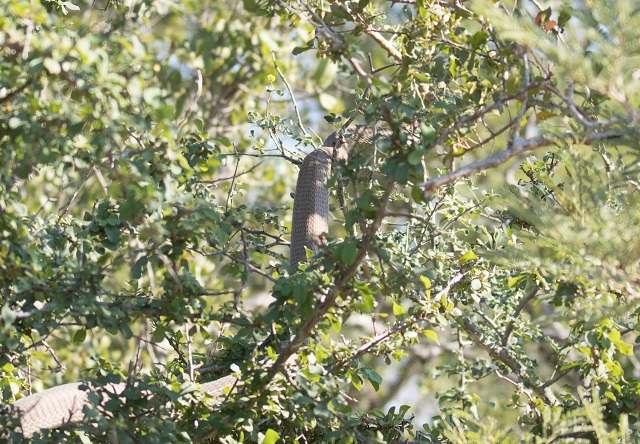 As soon as they spotted the leopard, it raced down the trunk of the marula tree and disappeared leaving a warthog carcass stashed in the tree’s canopy. Sophie and Bongi locked eyes and gave each other an excited nod – they knew precisely where they would be driving once the sun had set. 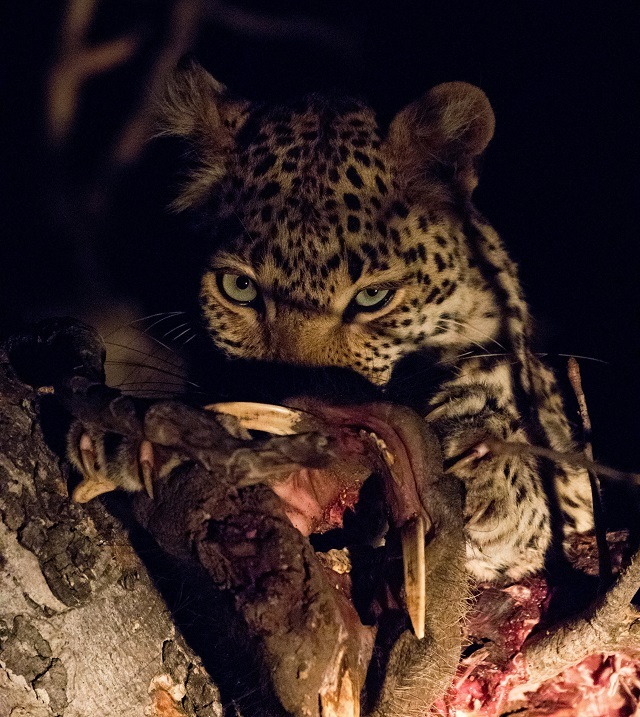 After darkness fell they made their way back to the marula tree and found, to their delight, that the young leopard had returned and was happily feeding on the warthog remains. With only the light of the stars (and a safari spotlight) to see them by, the leopard’s attitude had completely changed. Sophie, Bongi and their guests were presented with a poser of epic proportions and sat transfixed, snapping away, as the leopard locked them in place with its intense stare. It was one of those mornings where the bush was alive and bristling with activity. We could barely move without seeing animals. After a few days of careful tracking, we had found a young female cheetah. We enjoyed a lovely relaxed sighting where she was lying down, looking to all the world like she was fast asleep when, suddenly, her head popped up. With her incredible sense of hearing she had heard something moving through the bush. Gone was her lazy demeanour as she was up and stalking through the bush in one single movement. To us it was a mystery what she had heard; a cheetah’s hearing is far more acute than a human’s and we could neither see nor hear what she was following. Whatever it was though was clearly something delicious! Whilst we were following her, she put on a burst of speed and disappeared! And so the search for her began again. We picked up her tracks and then in the background we heard the impalas’ alarm calling so we had our direction and raced off! Unfortunately, as a young cheetah, she was still learning to perfect her hunting technique. She had detected a bachelor herd of impalas, stalked them excellently but had gotten ahead of herself and become exposed. 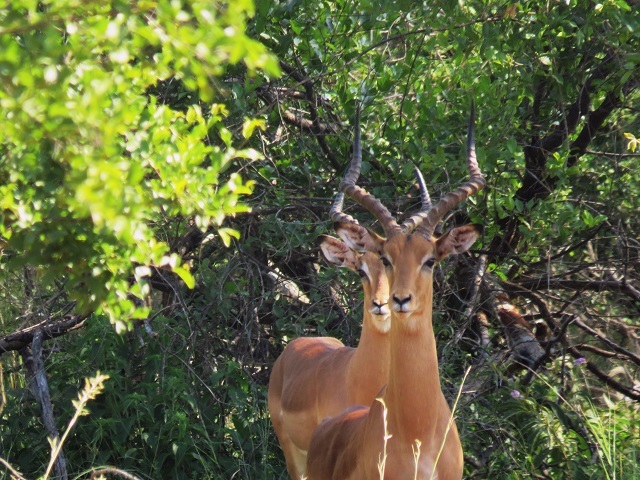 Like their big cat predators, impalas also have fantastic senses. As an animal that is on everyone’s menu, they have to be constantly on alert and luckily for the males that morning, they had spotted the hungry female cheetah as she approached them. After spotting her they sounded their alarm call, which let both the cheetah and us know that the impalas had seen her and the jig was up! At this point, the cheetah had no choice but to move off as the noise was likely to draw the attention of other predators. That could be very dangerous for the cheetah because any of those predators entering the scene would see her as competition for food and attack her. Looking sad that she hadn’t managed to catch herself a tasty breakfast, she skulked off into the bushes to try her luck somewhere else. 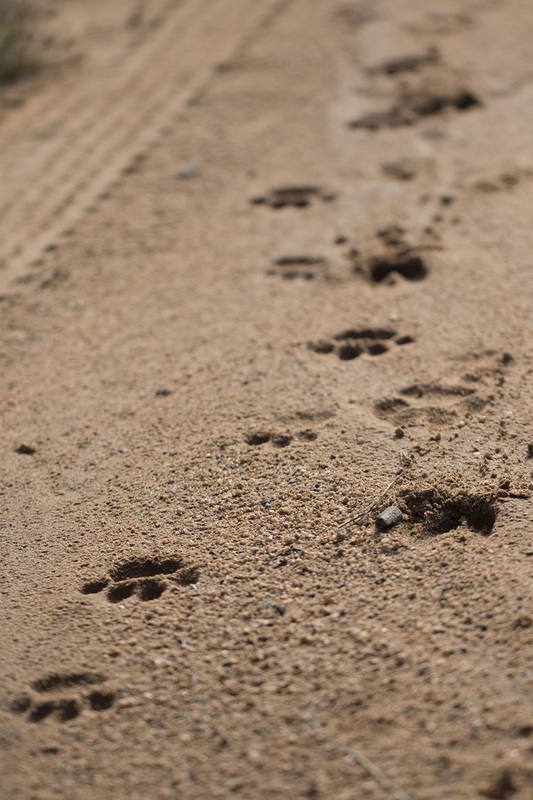 One morning in mid-January, on a game drive with guests, we spotted some tracks of the two dominant male lions of the Garonga pride but didn’t follow up as they were walking in a very thick area that we decided was too dangerous for us to venture into. 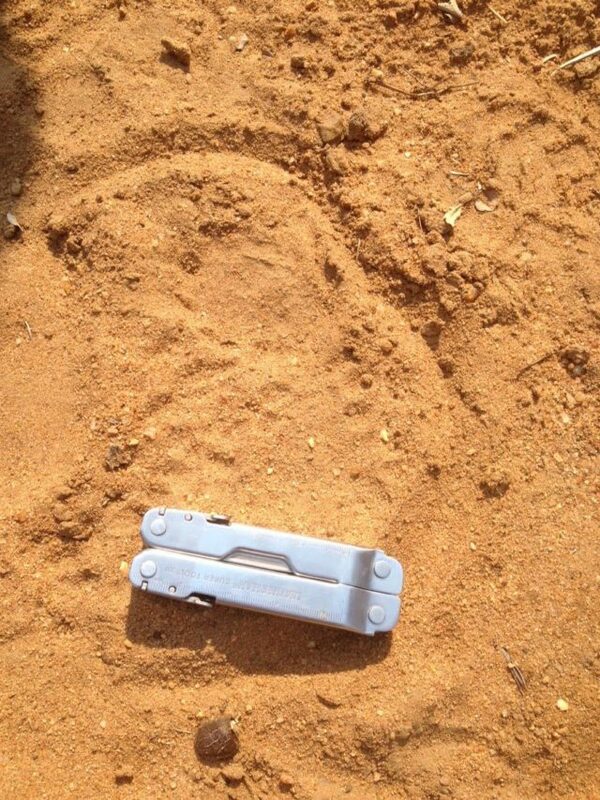 In the afternoon, we set off with the idea that we would drive around the area where we had seen the male lion tracks. As we left the lodge it started raining so I turned around to the guests to tell them that with the rain the chances of us trying to track the two male lions would be extremely difficult as the rain ages and washes the tracks away. We went to the area where we last saw the tracks of the male lions but couldn’t see if they had crossed any road; at this point, the tracks no longer looked like tracks but just a bunch of raindrops. An elephant bull had been called in on the radio and we had already decided that if our gut feeling wasn’t right after checking one last road in that area, we would go to the elephant bull. As we were driving, Stuart, and his amazing ability to spot animals from miles away, turned around with a huge grin on his face saying “Lion! Males! Two of them!” As you can imagine, the guests were so excited, and I was shocked that without tracking we had still managed to find these male lions! As we drove a little closer Stuart smiled and said, “and the Garonga pride!”. 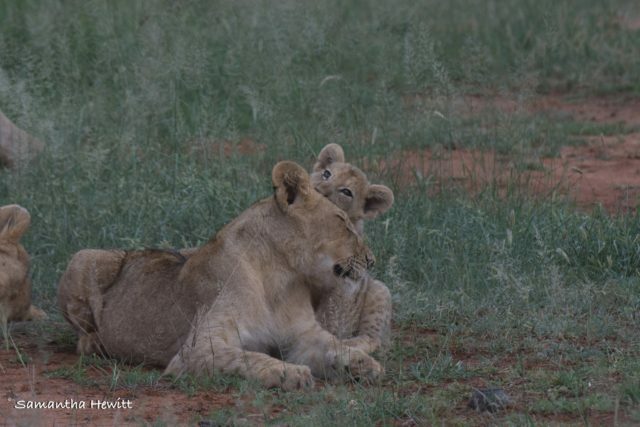 We sat in amazement as the six cubs played with one another, the mothers looking up from time to time making sure that the older cubs, that are about seven months now, were not being too rough with the younger cubs that are now around four and two months old. The males got up a few times to change their position, which allowed us to take some fantastic photos. 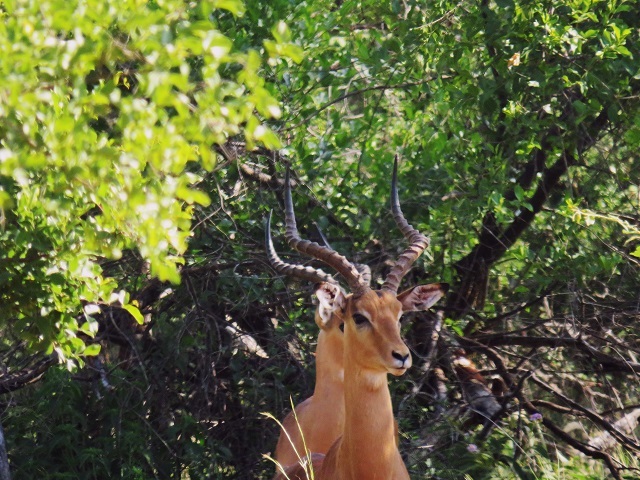 It was a wonderful drive after all, even if we did get a little wet and saw very few impala! This is the last of the blog series “Behind the Scenes” that has featured the 12 teams working collectively ensure Garonga’s continued success. This is the hard work that guests often don’t know about but get to experience the results first-hand at the safari camp. WildWeb, owned and managed by Paul Changuion, is a Web Design and Digital Marketing Agency based in Durban, South Africa. They have represented Garonga Safari Camp for many years now, and are both a highly experienced team and personable group of people to work with. In 2000, Paul turned his love for the African bushveld into his dream company – WildWeb. Paul has vast experience in online marketing of safari operations in Southern and Eastern Africa. We work with all the teams at WildWeb, as they manage and maintain all our web-based platforms and online content. They are responsible for our website design and maintenance, digital marketing – including blogs and social media – and generally keeping together any web-based information such as on TripAdvisor and online itinerary builder, WETU. 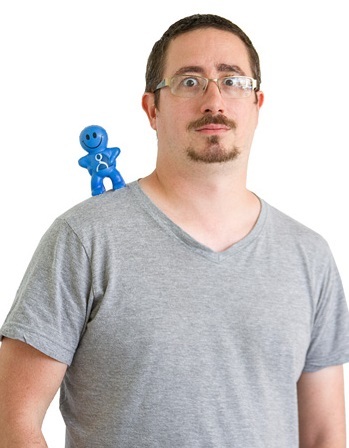 Jono Bouwmeester: Jono brings both technical know-how and design flare to his position as Head of the Design and Development Team at WildWeb. 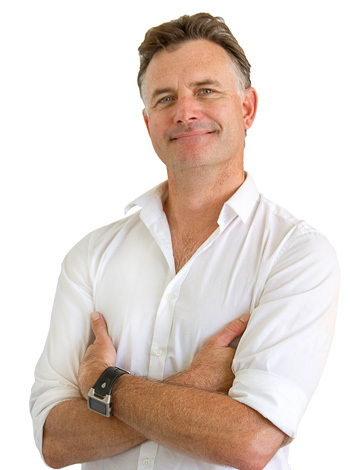 David Reynolds: Also a long-standing member of the WildWeb family, David is the SEO guru of the company and supports web design and maintenance by installing all updates to keep Garonga’s website up-to-date. Shannon Govender: Shannon is a designer and front-end developer at WildWeb. With over 10 years experience in the advertising and media industry, he is an expert in graphic and web design, printing, animation and game development. Mystic Mendes: As a Level 5 Programmer, web development runs deep in Mystic’s veins. So when he’s not at WildWeb, he’s either dreaming about programming or updating himself on what’s new in this field. Kelly Robertson: A travel enthusiast of note with a deep love for all things content, Kelly heads up the Digital Marketing Team from her base in Johannesburg. Anna da Graça: Anna has a strong background in public relations, events management and strategic marketing development. 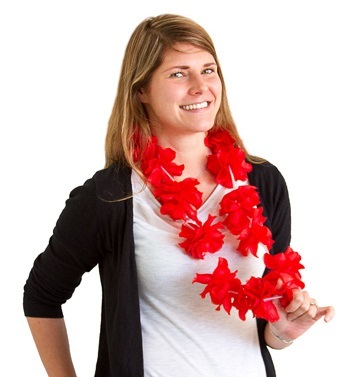 Having been born and raised in England, Anna brings unique insight to inform Garonga’s online presence. 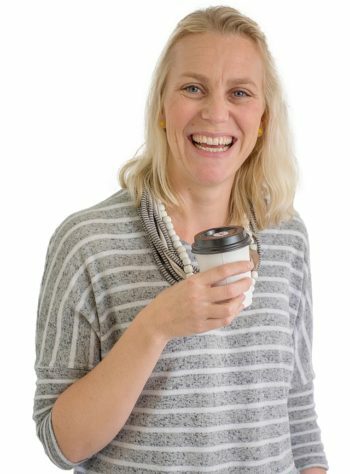 Nelli Rose-Innes: The master of paid advertising at WildWeb, Nelli looks after Garonga’s online presence, particularly making sure more people find out about us. She keeps abreast of all online information trends so that we stay ahead of the curb. Claire Birtwhistle: Claire is a professional photographer with a penchant for safari photography – check out our galleries to see some of Claire’s work. Along with her creative talents, she is also well-versed in strategic marketing across digital platforms. Elrika Geyser: With a Public Relations Degree and marketing experience under her belt, Elrika is equipped to create authentic content and managing winning social media campaigns. Megan Lewis: A complete word-nerd with a background in communications, public relations and marketing, Megan is in her element when exploring different countries or writing about all things travel. 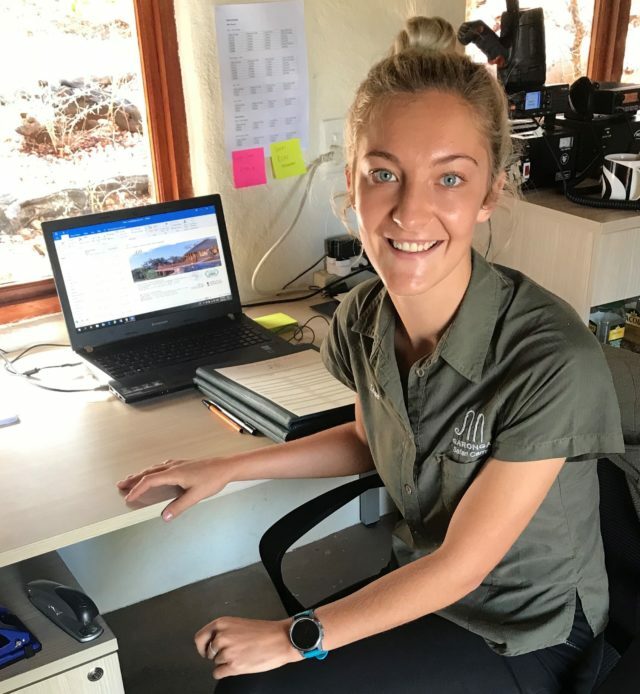 Claire Long: Claire has extensive experience in the travel industry and has also spent time living abroad, which she brings to her position as Reservations Specialist for Garonga at WildWeb. 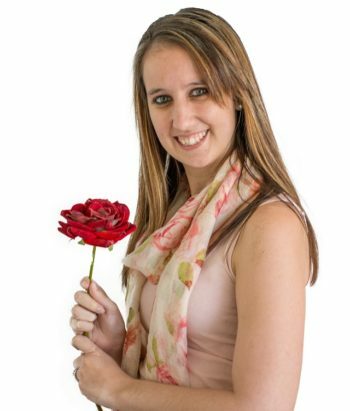 Jennifer Harmse: With a Diploma in International Tourism, Jennifer loves helping people realise their travel dreams as a Reservations Specialist. 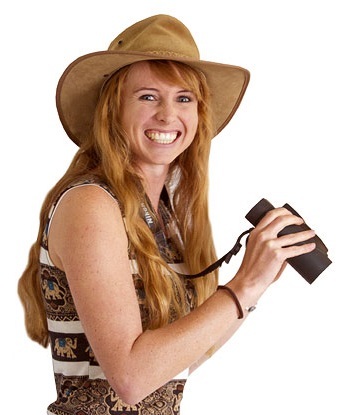 Along with Claire, you’ll probably chat to Jennifer at some point when booking at Garonga. 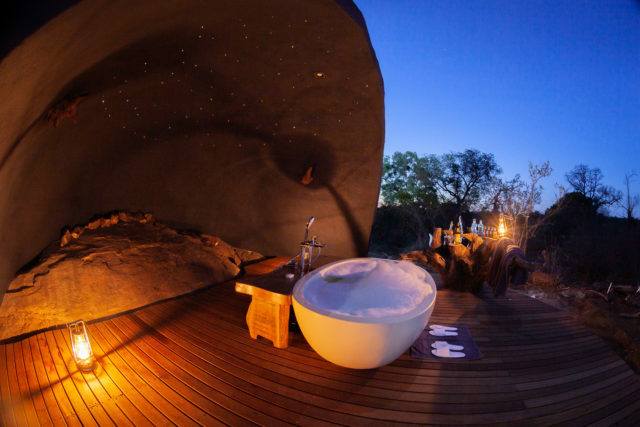 Garonga’s authentic online presence is aligned perfectly to our offline safari experience thanks to WildWeb. 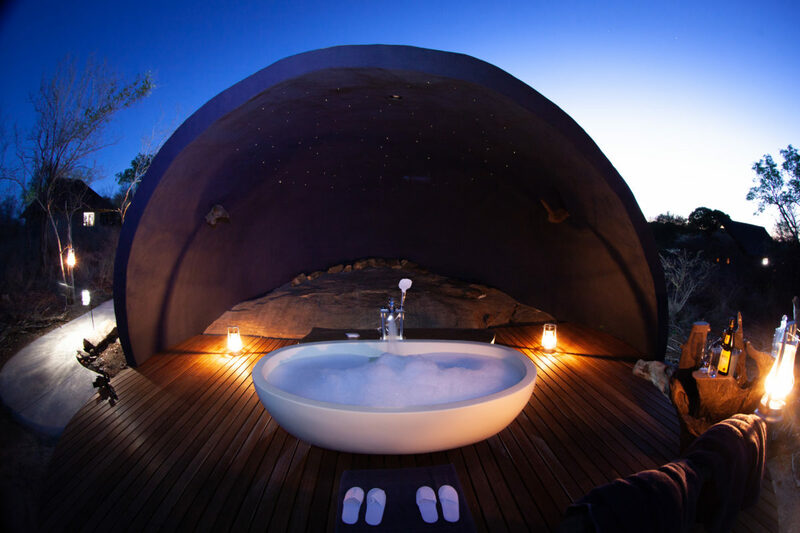 The Greater Makalali Private Game Reserve (GMPGR), together with the Pidwa Wilderness Reserve forms the Greater Makalali Nature Reserve (GMNR), is a 22,000-ha game reserve situated outside Gravelotte in the Limpopo Province. 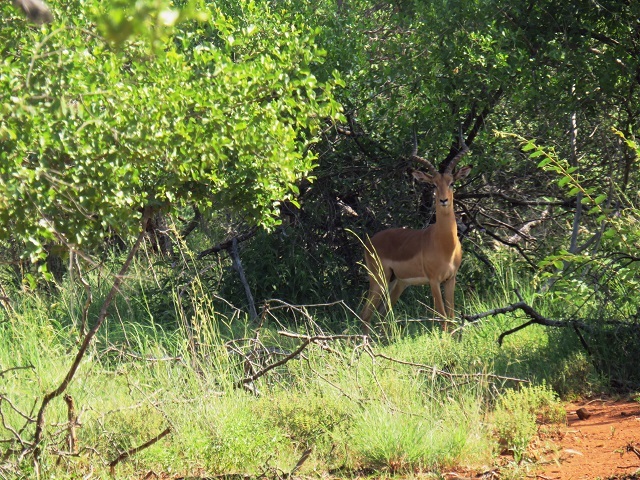 The reserve has seven owners who have retained ownership of their individual properties but have removed fences to create a conservancy allowing game to traverse the entire extent of the reserve. The reserve is home to the Big 5, with previously eradicated species including lion, elephant, rhino, hippo, buffalo, cheetah and hyena being reintroduced. Leopard, brown hyena and the smaller mammal species as well as the endangered ground hornbill and the many threatened and endangered vulture and raptor species are present on the reserve. To run such a large reserve, we need a very special and motivated team. 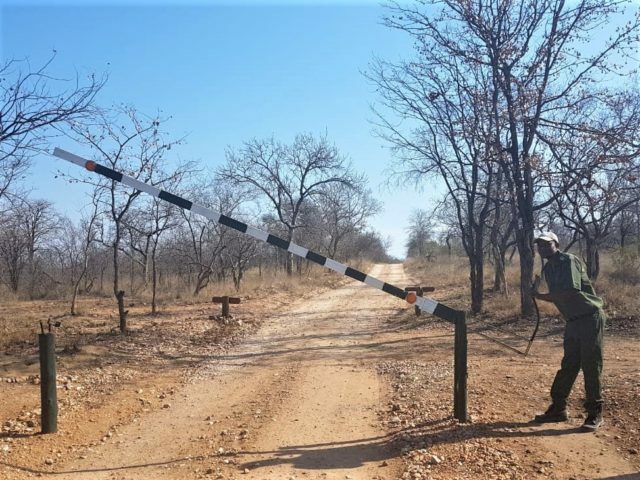 From mending fences to ensuring legal and environmental compliance and liaising with the Anti-Poaching Teams, the team has their work cut out for them – nothing is too small! The EM programme was started by the South Africa’s National Department of Environmental Affairs in response to the challenges of high levels of unemployment adjacent to conservation areas, coupled with increases in the illegal wildlife trade. 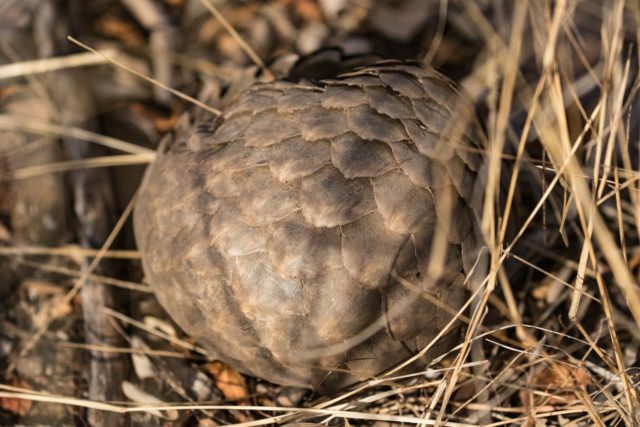 The programme aims to grow conservation capacity within South African National Parks’ (SANParks) protected areas including provincial and private reserves. Four Environmental Monitors are deployed on the GMPGR through an integrated plan to assist with conservation support, including various projects and activities to maintain sustainability within the GMPGR. The Back to the Wild (B2W) Programme seeks the promotion and conservation of wildlife, fauna and flora, and the natural environment, including the ecosystem in and on the reserve land, as well as establishing a formal release facility for compromised and rehabilitated indigenous wildlife on the reserve land. Over the years, the GMPGR has facilitated the release of several species from various centres on a small-scale. 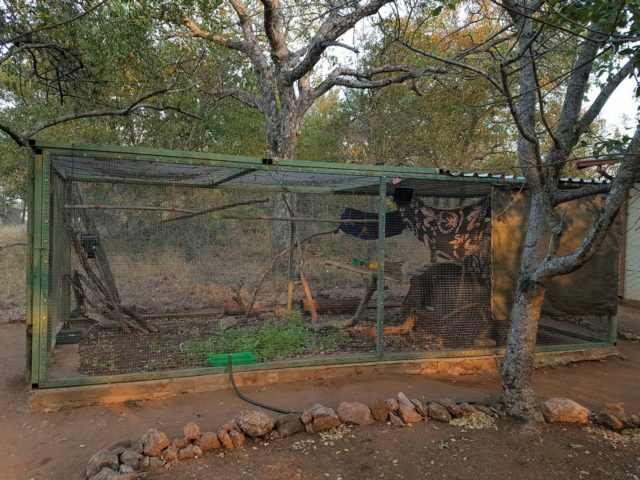 The capacity for release within GMNR has been greatly increased through the construction of six suitable re-wilding enclosures within a release facility, with the funding assistance of the Humane Society International. 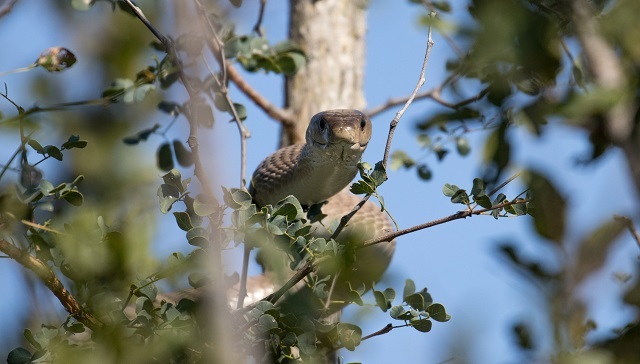 A slow-release process is carefully managed to ensure previously compromised and rehabilitated animals are successfully released back to the wild. 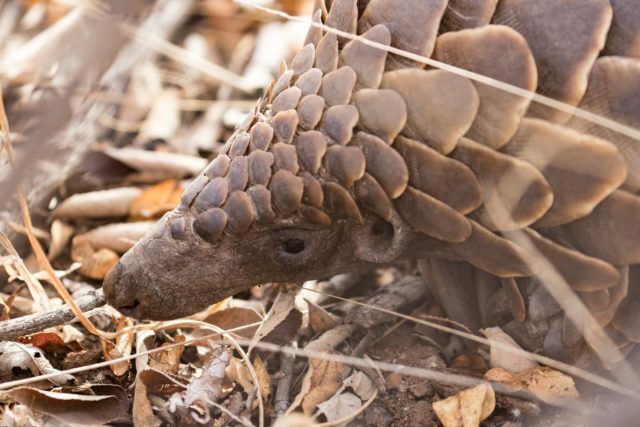 The B2W Programme is managed by Yvette Panos, who works together with Audrey Delsink Kettles, who is the Executive Director of Humane Society International: Africa, and Nicci Wright, the Executive Director of African Pangolin Working Group and an internationally qualified wildlife rehabilitation specialist. 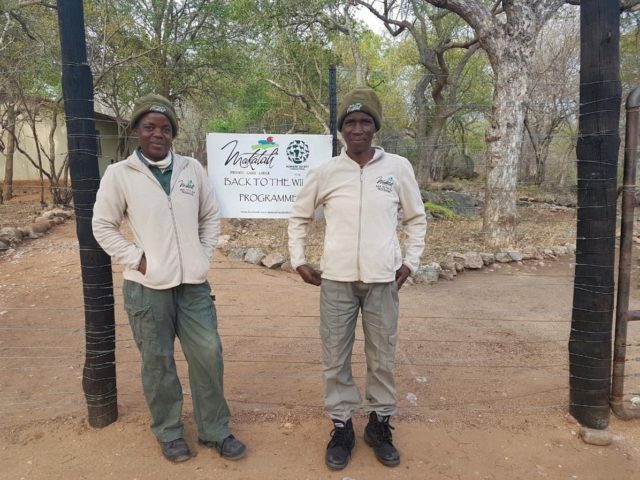 Lydia Raganya and Annickiy Mafogo are the Environmental Monitors stationed at the B2W facility, providing the necessary dedication and care of the wildlife to ensure the success of this programme. 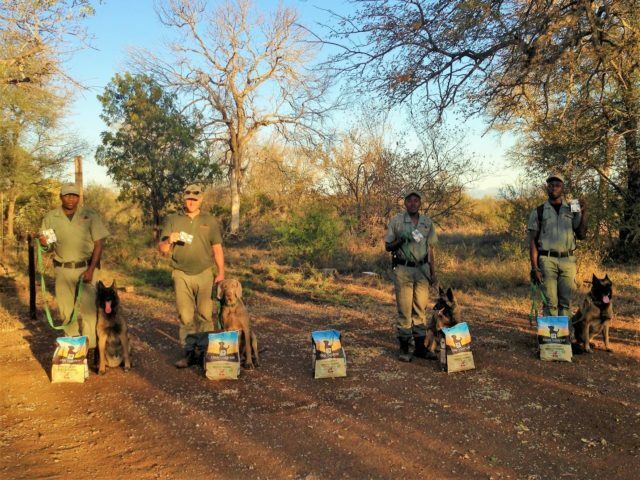 The K9 Conservation Anti-Poaching Unit (APU) has provided logistical backup and support to the GMNR since 2014, through the deployment of elite, highly trained and specialized working-dog units. The APU is based on the reserve permanently, patrolling both in vehicles and on foot. The field rangers and dogs are carefully selected and paired to maximize efficiency and effectiveness. 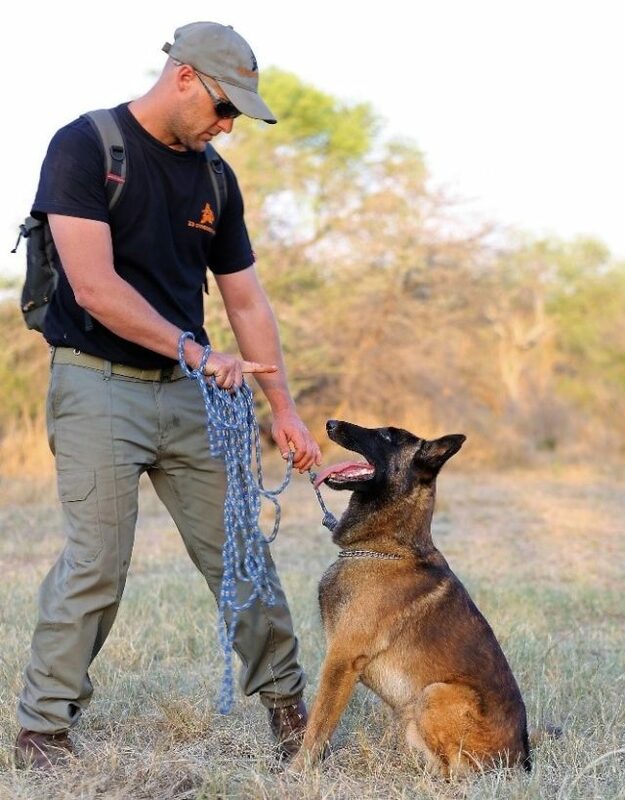 The Belgian Malinois, originally bred for herding purposes, have the perfect temperament, intelligence, dedication, agility and diligence to be anti-poaching K9 soldiers on the frontlines of anti-poaching efforts. K9 Conservation’s primary function is to aid and assist the GMNR to counteract illegal hunting and wildlife trade by poachers and poaching syndicates. The exceptionally dedicated APU on the GMNR is led by Peter Wearne, who has been based at the GMPGR since October 2014. For further information on GMPGR and GMNR or to support Back to the Wild, please contact us. 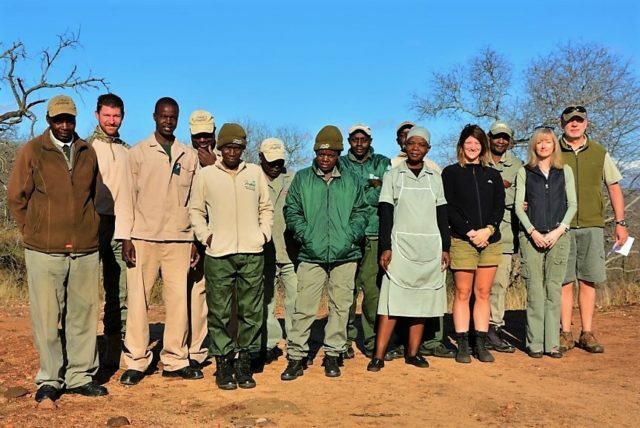 The Management Team is the backbone of operations at Garonga Safari Camp and Little Garonga. They ensure everything runs smoothly for the guests both at the front of house and behind the scenes. More importantly, they are the leaders that guide, support and mentor the other teams of staff at Garonga. 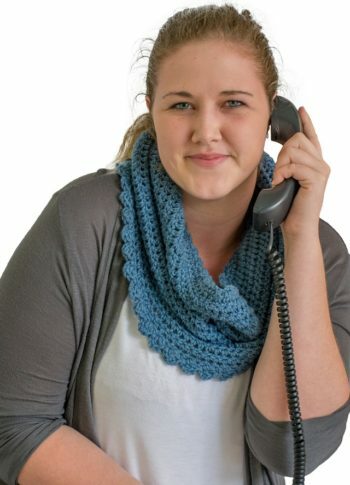 Reyneke is the Operations Manager and has been at Garonga now for almost three years. 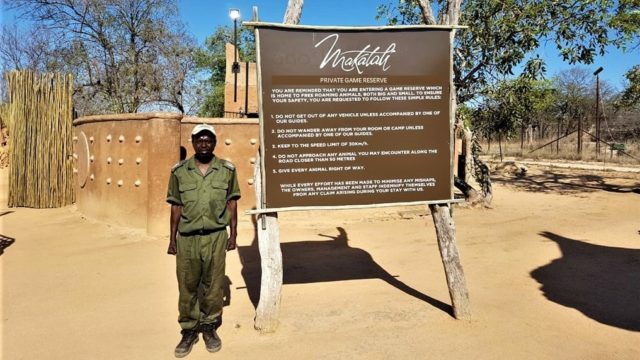 As a very diligent and thorough person, he is tasked with all general operations of lodge as well as overseeing the Safari Department, which is run by Jaffeth. Reyneke arranges external training courses to ensure consistently high standards at both properties that meet the expectations of every guests that walks through our doors. 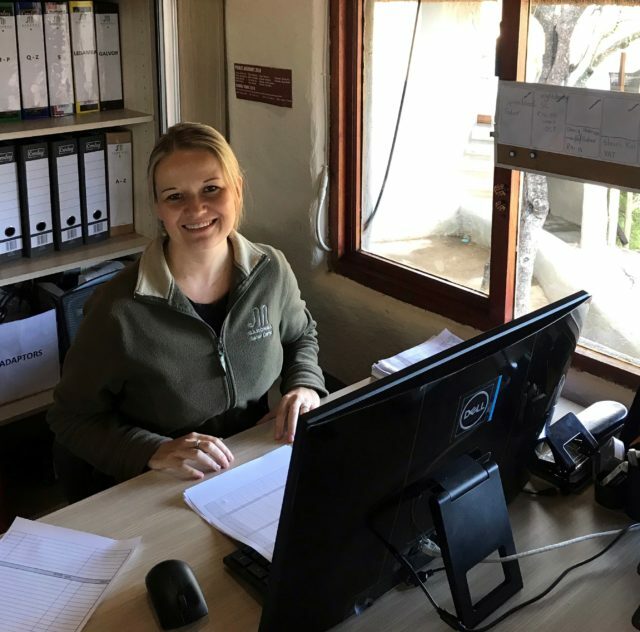 Riki is the Administration Manager, who has worked at Garonga for three years, along with her husband Reyneke. She has taken on this difficult and intense role with great gusto and quiet determination. From accounts management to stock control and month-end reporting, Riki is incredibly capable and efficient. 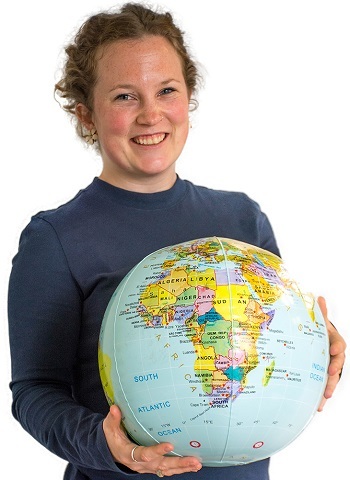 Charlotte, who joined Garonga two years ago as the Manager, is currently on six months maternity leave and will return in the beginning of 2019. Lize has stepped comfortably into Charlotte’s shoes for the six months she is on maternity leave. Whilst she is new to managing, she has slotted well into the position because she is thorough, diligent and confident. 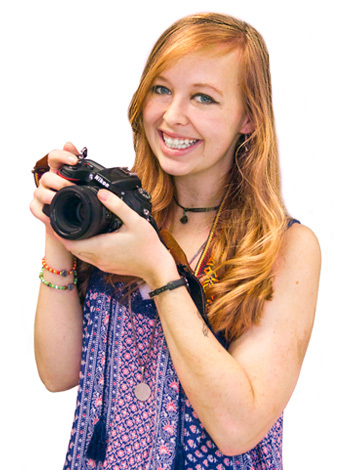 In January 2019, Lize will begin her four-year Tourism Degree. Robert and Steffen are the Manager at Little Garonga and Maintenance Manager, respectively. 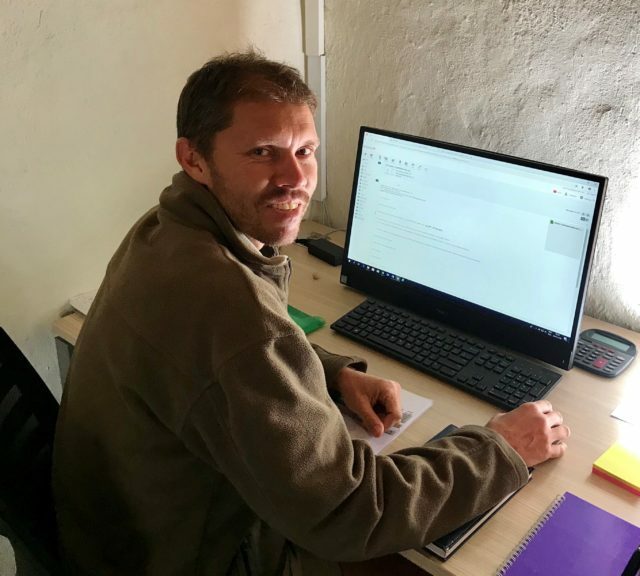 Check out the blogs on the Little Garonga Staff Team and the Maintenance Team to find out more about Robert and Steffen. 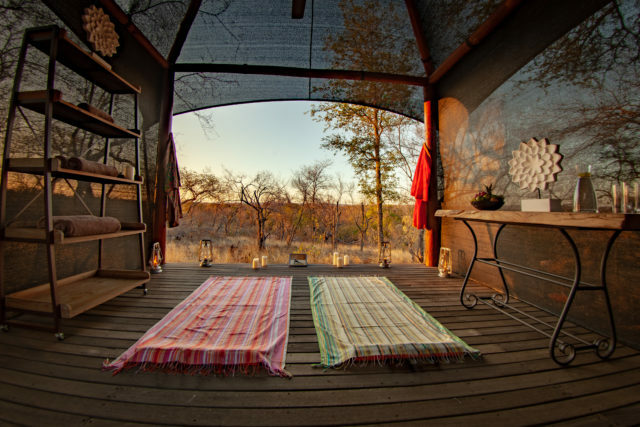 When staying at Little Garonga, you’re in the good hands of our friendly and attentive staff that is fully equipped to make this your best South African safari. 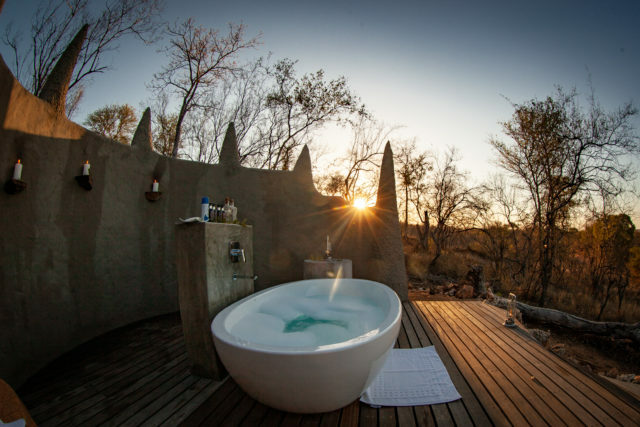 Garonga welcomed Little Garonga to the Makalali Private Game Reserve in December 2007, giving guests a little extra luxury and exclusivity in the same beautiful setting as the Safari Camp. 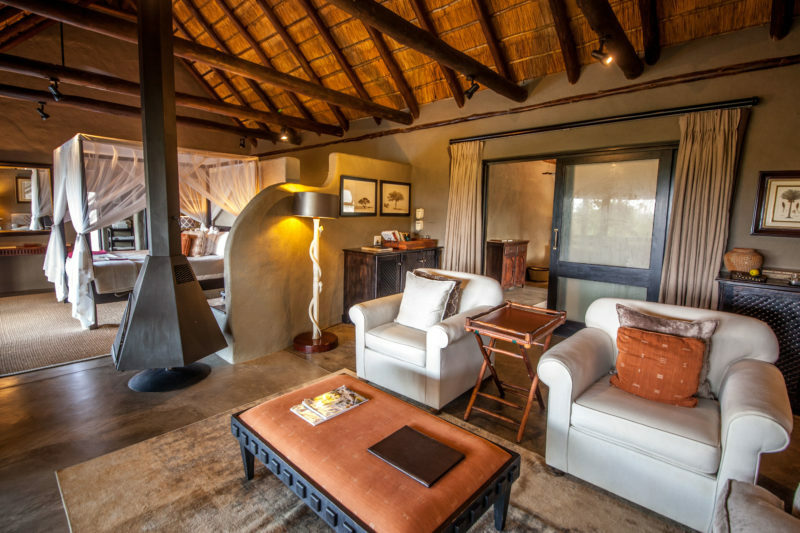 Not only is each suite fitted with air-conditioning and Wi-Fi, the guests in these units have their own safari team with private vehicle and housekeeping staff. The permanent staff complement at Little Garonga ensure all guests enjoy personalised and attentive service throughout their stay. Robert: Having started off as a waiter at the Safari Camp over a decade ago, Robert moved across to Little Garonga and with his rich knowledge became the camp’s Manager in 2015. 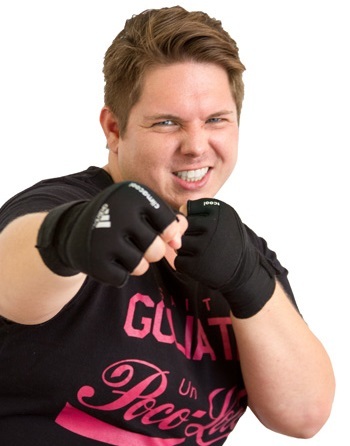 With his calm and professional demeanour, Robert always goes out of his way to afford all guests a great experience. 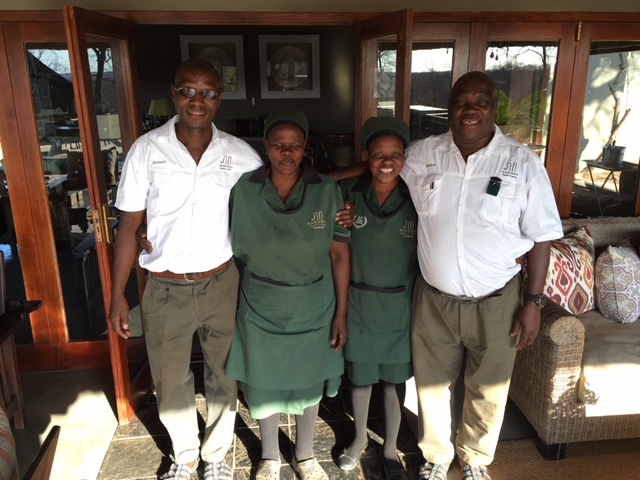 Margaret: Completely dedicated to maintaining clean and presentable suites, Margaret is the perfect person to oversee housekeeping at Little Garonga. She has been around since the grand opening in June 1997 and is an ingrained member of the Garonga family. You can expect to see her working briskly throughout the busy times at Garonga, always with a smile and happiness radiating from her. Christine: With over 15 years’ experience, Christine assists Margaret with all housekeeping responsibilities and leads in all laundry tasks. She is industrious and professional, always taking real pride in her work whilst keeping a wonderful smile on her face. You can also expect a joke or two from Christine! Herfric: Even before Garonga opened in 1997, Herfric was part of the Garonga family. From 1996, he has been working with us in different roles until his personality directed him towards waitering. Herfric is Head Waiter, overseeing all waiters at Garonga but working permanently at Little Garonga. He has a huge heart, great smile and willingness to do anything for the guests.